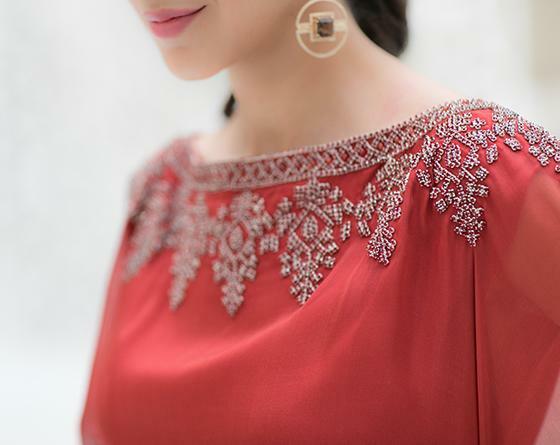 Silk Mousseline Gandoura embroidered with stones and crystals. Exclusive Creation of La Boutique Royal Mansour Marrakech. The product is collected in store, at Royal Mansour Marrakech. Please be prepared to present the following when picking up your order: the actual voucher and the ID card of the recipient. The items bought online can be returned and exchanged the day of its withdrawal from the boutique. 46 300 MADMAD for 1 pers.